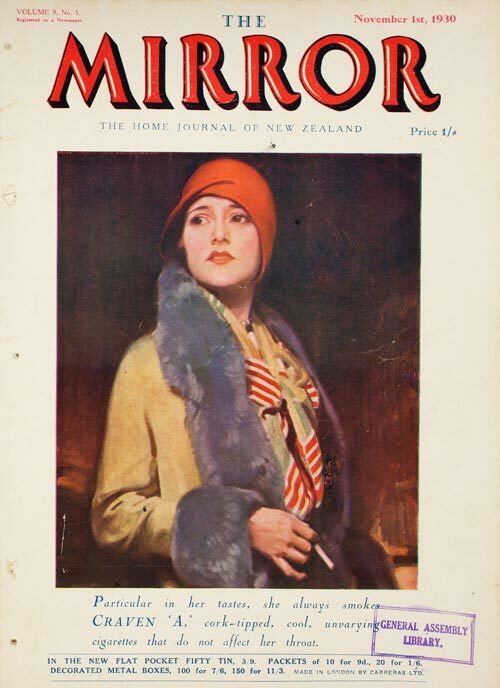 This full-page advertisement appeared in the New Zealand women's magazine the Mirror in 1930. Like many ads in the years between the two world wars, this one specifically targeted women, who were the growing market. It tried to associate smoking with sophisticated urban taste.